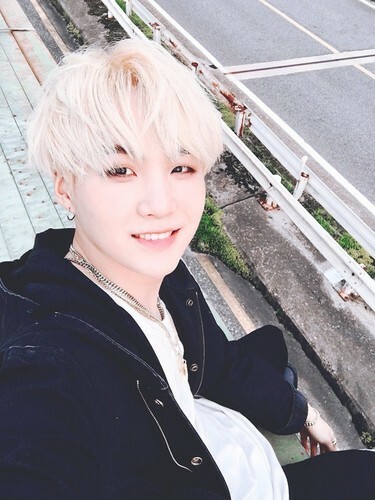 Min Suga aka August D><💋 ❤. . Wallpaper and background images in the बी टी एस club tagged: photo kathi agust d min suga yoongi hot bts. This बी टी एस photo contains राह-चलता, कैरिजवे, carriageway, सड़क, शहर के दृश्य, शहरी सेटिंग, शहर दृश्य, and शहरी की स्थापना. There might also be बिजनेस सूट, व्यापार जिले, शहर, व्यापार जिला, डाउनटाउन, गरम, hothouse, इनडोर उद्यान, कंजर्वेटरी, and उथले.